If you ever require ultra fast drain clearance call plumbers in Dublin's drain unblocking team.We can attend your property within an hour of your telephone call and clear nearly all blocked drains in less than 60 minutes once we arrive. Please contact us to schedule one of our fully insured specialist drainage engineers today. 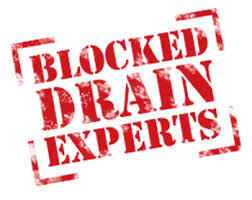 Our expert drainage engineers have over 30 years experience in unblocking drains of all sizes throughout Dublin. Debris and foreign objects. Blocked drains can occur when foreign objects make their way in to the drainpipe. For baths and showers this can be hair and soap. For kitchen sinks this could be food. For toilets this could be excessive use of toilet roll, sanitary items or even nappies. Children can often cause drain blockages by trying to flush toys, whole toilet rolls or other objects. Some of the above may not cause immediate blocking. It may be a case where over time the objects build up as they are caught between the drainpipe and the pipes that flow underneath. This prevents the water flowing easily and eventually causes a blocked drain. Storms and heavy rain. This is quite common in Ireland unfortunately. Drains are not normally designed to take large quantities of water. When there is a torrential downpour dirt, leaves and other matter can be taken with the water flow. This matter builds up and leaves your drain blocked. A broken pipe. This is one of the worst scenarios. If a pipe is broken or collapsed then the water supply can not flow properly. The causes can be that the pipe was poorly installed, it is old or that it has been broken by tree roots. These types of drain blockages have to be investigated thoroughly. This is where we use our C.C.T.V. system to identify where the blockage has occurred. It can be a major problem when and underground pipe is not easily accessible. Pipes being installed incorrectly. There has been an increasing number of people trying D.I.Y. plumbing. This can be a short term cost saving but in the long term it may become expensive. Firstly the choice of the correct pipe is vitally important. It is also important that you have a full understanding of the pipes that will do the job. Blocked drains can occur if the pipe becomes misaligned or collapses. This can cause great expense to fix. Water flow problems. Water doesn’t naturally run uphill it uses gravitational flow. If pipes are incorrectly installed and there are small troughs dirt and debris will gradually build up over time leading to a blocked drain. With blocked drains some early warning signs can be bad odors from sinks and drains. A gurgling sound when you flush the toilet or a bath or sink draining slowly. To unblock drains in some cases a plunger or caustic soda will be fine. In other though you will need and expert. This is where plumbers in Dublin can help you. In Ireland we all know the weather is unpredictable. You may leave your home in glorious sunshine and go home and there has been 3 inches of rainfall. Sometimes this can have a disastrous impact. A blocked drain with inches of water outside your door trying to seep in. We are available any time of the day a rapid response of under an hour. If you need that drain unblocked fast, pick up the phone and call plumbers in Dublin. We are fully equipped with drain rods and a plumbers snake for more simple blockages. 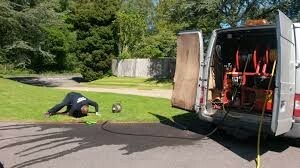 We have the latest high pressured drain jetting equipment to clear all blockages no matter how bad it seems. Do you have a collapsed drain, or are experiencing continuous drainage problems? We can perform a C.C.T.V. 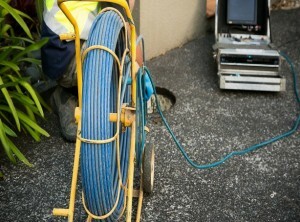 survey to identify any faults within your drainage pipes and also provide a report for your insurance company. Our drainage engineers are experienced at repairing, relining and replacing and unblocking drains. Following a C.C.T.V. survey, we can provide an estimate to carry out the necessary remedial works. Blocked drain what a pain! We provide the drain clearance service, extremely competitive pricing; free call out with a professional no obligation quote. We pride ourselves on our customer service, with no hidden fees or charges, we do not charge traveling time or parking fees. Our vans are always fully stocked so as there is never a need to be “sourcing parts” If you require any type of drain unblocking services just give one of our experts at plumbers in Dublin a call on 01 2603222.